This is that time of the year again when your kids expect you to surprise them with some cool gadget, that is if your budget allows it. Your kids would be super excited when they see this Kids Motorized Personal Transporter under the Christmas tree. This electric transporter goes forward, backward, left, and right and spins 360°. It is a sturdy three-wheeler with two powered wheels and a smaller wheel for balance. It is easy to control with a foot-pedal and hand-grip buttons. The Transporter has a weight capacity of 88 lbs. It can run at a safe speed of 3.7 MPH for one hour on a full charge. 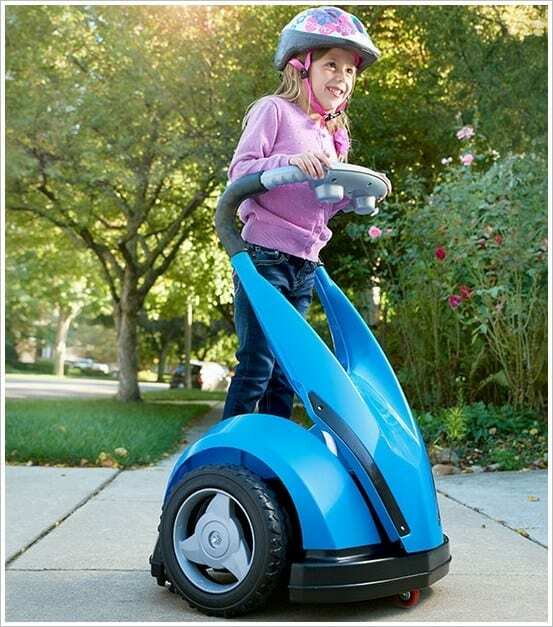 The Kids Motorized Personal Transporter will cost you $249.99.